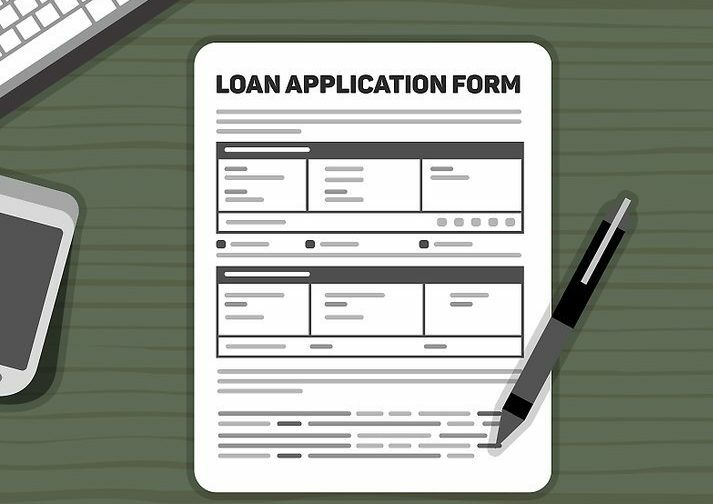 What Information Do You Need for a Loan Application? Buying a new house or property in Edmonton is an exciting adventure, but one part of the process that can be stressful is applying for the loan. Not being sure that you can afford the property will put a damper on things until your loan application is processed. In order to have the best chance of getting your loan approved, it’s best to be very thorough in your loan application. Knowing what documents and information to bring with you to complete a loan application is a great way to get the ball rolling and find out fast if you’ve got the loan. In general, the loan approval process doesn’t take that long once the lender has everything they need from you. They’ll have to verify the information, determine whether your financial status is on par with their requirements for a loan, and determine whether your financial situation is likely to change based on a few key factors. Here’s what you’ll need to bring for a loan application. First, you need to bring all your personal information. This includes government-issued identification, your Social Security number, and all your contact information such as your phone number and address. These basic facts start the process by letting the lender verify your identity and get in touch with you. This information is also used to check your credit score so that the lender can get an idea of how creditworthy you are. The next information you’ll need is anything relating to your finances. These pieces of information let the lender see that you can afford the loan. This includes proof of employment, recent pay stubs, recent tax returns, copies of recent bank account and credit account summaries, and proof of any assets you may have, such as a 401(k). This information is probably the most important for determining if you can afford the loan amount you are asking for. Depending on the circumstances and what type of loan you are applying for, the lender may ask for specific documents as well. For example, they may ask for information on the property you intend to buy, or information about your business history if you’re buying a property for commercial purposes. Be sure to bring along anything that the mortgage company asks for, and ask them if they need any additional materials if they don’t volunteer that information when you pick up the application. Finally, you’ll need to bring the completed mortgage application with all these documents. You can often download or complete applications online, and then email, mail, or bring in the extra documents afterwards. In many cases, the lender will help you fill out the application form at your initial meeting, so you may not need to fill this out yourself. In any case, be sure that the application is on file with the rest of your documents to get the process moving. If you’ve gathered up all the documents listed above, then you should have everything you need to apply for a mortgage. Be sure to ask your lender if they require any additional special documents, and bring any paperwork that you have exchanged with anyone involved in the sale of the property, such as the homeowners, the realtor, or the lender. If you want to learn more about how you can save with the right mortgage lender, contact us at Dominion Lending by calling our Edmonton office at 780-466-9898, or chat with us online to get instant answers to all your questions.